Thailand’s strong economic growth has resulted in a constantly increasing demand for oil and gas. Natural gas accounts for about 60% of the country’s power generation. Its oil and gas reserves are falling amid rising domestic petroleum consumption, which has made the market heavily reliant on fossil fuel imports. Imports of crude oil cover almost 80% of total oil consumption. In recent years, Thailand’s military-led government has introduced a number of market-driven reforms to liberalise the sector and increase its transparency, in order to attract more investor interest. 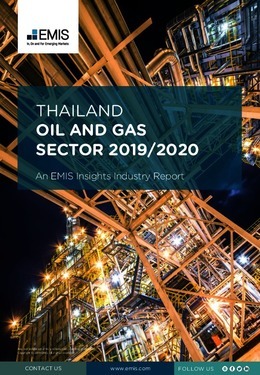 This report provides a complete and detailed analysis of the oil and gas sector for Thailand. EMIS Insights presents in-depth business intelligence in a standard format across countries and regions, providing a balanced mix between analysis and data.